Zeb Carabello displays the 2018 JEA Rising Star Award he received at the Chicago convention. 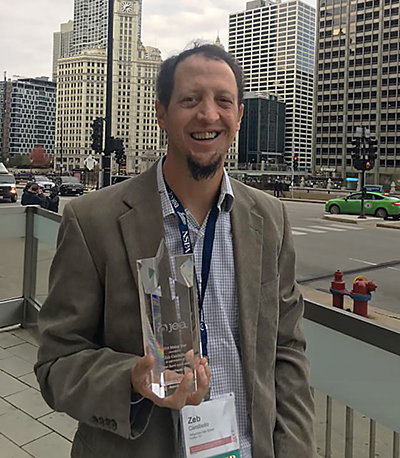 The Journalism Education Association has awarded Zeb Carabello, CJE, of Rangeview High School, Aurora, Colorado, with the JEA Future Administrator Scholarship. Carabello began his career in the newsroom after earning his degree in journalism from Colorado State University. However, it didn’t take long for him to find his way to the classroom to impart his knowledge on high school students and inspire them to develop a love of journalism, too. Since becoming a high school adviser, Carabello has immersed himself in the scholastic journalism world and all it has to offer. “I have been involved in the Colorado Student Media Association. I have not (yet) held an officer role, but I have participated in just about every professional development the past five years and been a part of the media law and ethics cohort,” he said. The work he has done with CSMA has provided a strong foundation for him to ensure his students know and understand the laws and ethics as well. Carabello is working toward his administrative certification at Lamar University. As a future administrator, Carabello expects to uphold those same standards, knowing the impact student journalism can have when the students and the adviser feel empowered and supported. 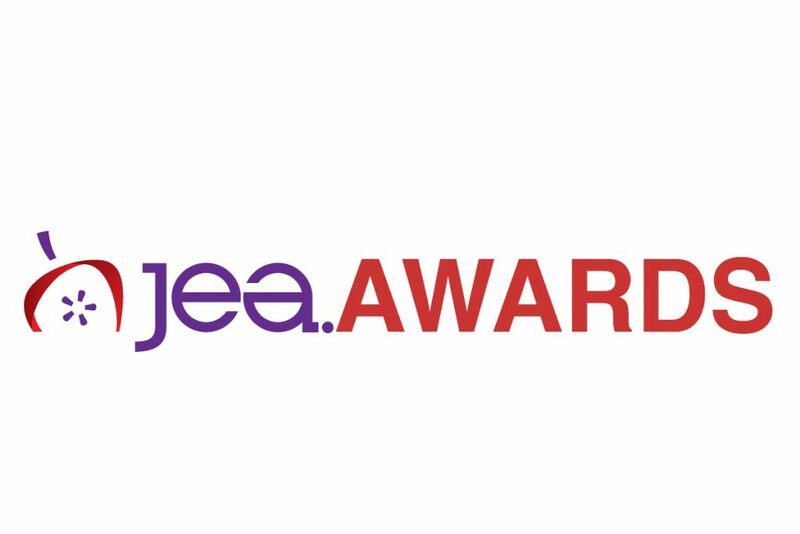 Carabello will be recognized in April at the JEA/NSPA Spring National High School Journalism Convention in Anaheim, California.